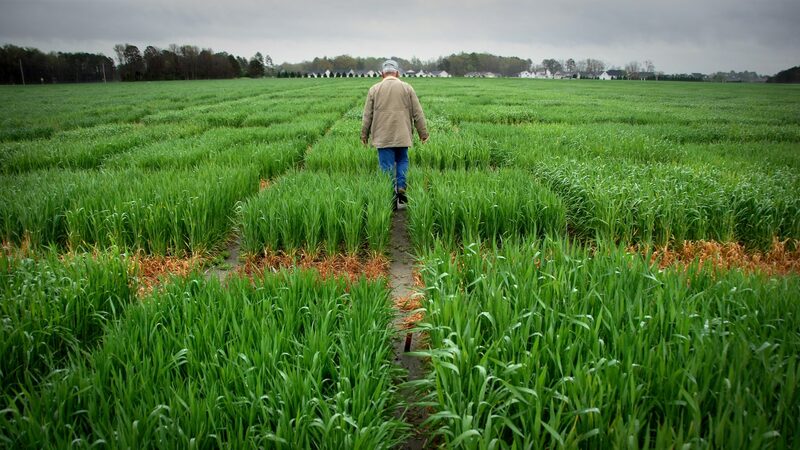 An Extension agent looks over research crops planted in Kinston. Photo by Roger Winstead. NC State employees working in the field through North Carolina Cooperative Extension and 4-H Youth Development touch the lives of people every day in all of North Carolina’s 100 counties and with the Eastern Band of Cherokee Indians. They see the impact their programs make on individuals and on their communities. They give their time and effort — and often their financial support — to help these programs succeed. Through Extension, College of Agriculture and Life Sciences faculty and staff extend their knowledge to farmers, families and citizens across North Carolina with research-based and practical programs, from educational workshops that address public health and nutrition issues to partnerships with local governments. Meanwhile, 4-H, the largest youth development organization in North Carolina, conducts programs across the state that encourage young people to learn by doing. These staff members are quick to explain why they are so committed: Years, and in some cases decades, on the job, have shown them that private support leads to greater success. Children who are able to attend a 4-H camp thanks to scholarships return years later to tell the staff what a difference the experience made in their lives. New centers opening within communities allow family and consumer science programs to serve more residents. Magner is just one of many employees who choose to give regularly through outright gifts or scheduled payroll deductions. 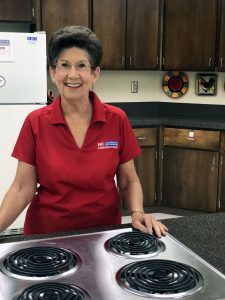 She has worked with Cooperative Extension for almost 45 years, and in Cabarrus County since 1979. 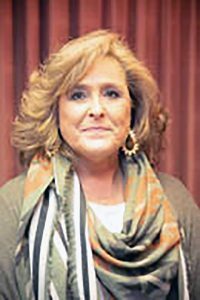 Her own children came through the 4-H program, and she has seen its impact on their lives and the lives of many others in her community and across the state. Outen’s support extends across many areas, from programs to scholarship funds. It varies because she gives both to support causes and as memorials to those who have passed away. Magner spends his days working with community partners, in areas from 4-H to Family and Consumer Sciences, to strengthen their community. He spent 10 years at a children’s home prior to joining Extension, working there with donors and volunteers. “One of the things I learned there is, if you’re going to ask others to support your cause, you really need to be supporting it yourself,” he said. 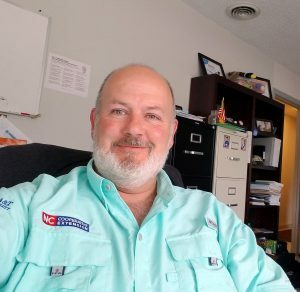 He has done just that through monthly payroll deduction gifts to support 4-H.
Magner said he also first learned through his work with the children’s home how essential the type of support that 4-H provides can be to youth today. 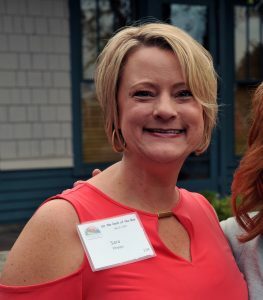 Tammy Kelly hasn’t just spent 31 years with Extension – 16 of those as a director – she is also an NC State alumna and grew up in 4-H herself. She has been a donor for more than two decades, supporting 4-H, Extension and the university in a variety of ways. “A lot of the 4-H support helps kids with scholarships and keeps the programs going,” Kelly said. “There’s a direct link – without that, they can’t continue the programs that send kids to leadership opportunities and speaking opportunities. Her background as an NC State graduate gives her a familiarity with the system, the people and the outreach, Kelly said. She knows the information she’s sharing comes from a reputable source and has the university’s backing, and that makes it all the more credible. She said she also gives to carry on that tradition and mission, knowing NC State can’t continue to do what it does without private support. Sara Phelps started as marketing director about six months before the Eastern 4-H Center opened in its current Columbia location in 2001, so the facility holds a special place for her as she has watched it grow. Each year, she supports the 4-H/Eastern Center Dock of the Bay Event Fund. In its 16th year, the event raises funds for camp scholarships for 4-H youth and for other programs at the center. More than 100 children have been impacted through scholarships at the Eastern Center, something Phelps gets to see firsthand on a day-to-day basis. Phelps believes that if university faculty and staff feel they’re making a difference in their roles, they should see the benefit to giving back to support their passions and interests.